Yeah, you picked out some nice things. 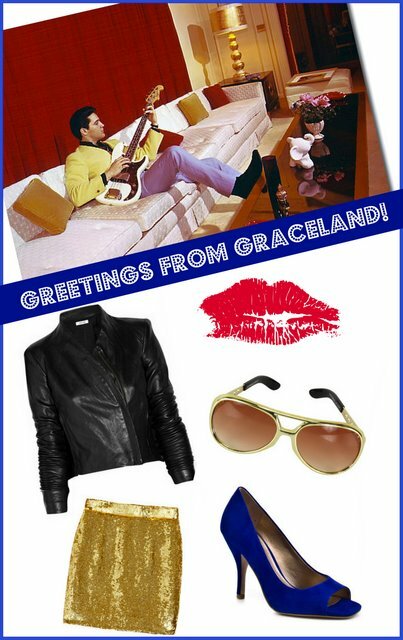 I've never been to Graceland, yet... Have you? Thanks for your visit and yes, we live in the heart of Georgia. But these daffodils never bloomed that early. Maybe because of he hot and dry summer they're kind of 'off'. Don't forget my GIVEAWAY. It is at the top of my blog on the sidebar. When I was moving from NYC to Dallas 7 years ago, my now husband bought a box truck to haul our things (and a car) down here. We decided to meet up w/ my dad and stepmom along the way to break up the long drive and we chose Memphis. None of us had been there and stopping by Graceland seemed like a cooky thing to do. We had fun!